At some point, I think every sensible person comes to the realization that questions matter, even if they have no answer. Better yet, especially if they have no answer. We’re born with an inherent need for inquiry, but it seems we lose a bit of that drive along the way. We give up constant query for a brief stint before eventually coming back around to the same paradox with which we started: questions matter, even if no one has the answers. See, little kids have a question at every turn. Well, toddlers do, at least. Not babies though. Babies don’t have questions because of the issue with that whole talking thing. Come to think of it, babies don’t even exhibit any of the body language and facial expressions adults would have if we suddenly came into a world where everything was new. Everything. Each minor occurrence a mind-blowing scenario. Imagine seeing a person walk for the first time. Or a bird fly from the ground to a tree limb. Or a car drive past another on the street. What if, instead, you witnessed a flying person the size of a car? For sake of argument, that might be the comparison to an infant experience of daily life. But no, despite all the unprecedented novelty, babies keep it together. In fact, they play it so cool that they sleep through much of the day. Wake up, wait for someone to feed them, poop their pants and then call it quits for a couple more hours. It’s the toddlers who finally express interest and concern and even appreciation for the world all around. Yeah, sure, they still poop their pants. But at least they question why. Then, somewhat suddenly, all that innocent inquiry is lost. Adolescence ruins the question. Well… no. I take that back. It’s not all lost. Only some of it gone in the gaps of childhood transition. Some of the questions no longer matter, so, therefore, some of the answers don’t matter either. How was your day? Fine. What did you do? Nothing. What should we have for dinner? I don’t care. What do you want to do this weekend? I don’t know. But it is this time, in this wonder of early teenage awkwardness, where the right question can break that apathetic norm. After a quick hiatus, the developing brain begins to enjoy the question again. And then, like an erupting dam, we begin to question everything. Question parents, question teachers, question government, question existence… and eventually, with any luck, and a lot of (uncredited but underdeveloped) skill, we question ourselves. With the right question, we can find a moment of truth. 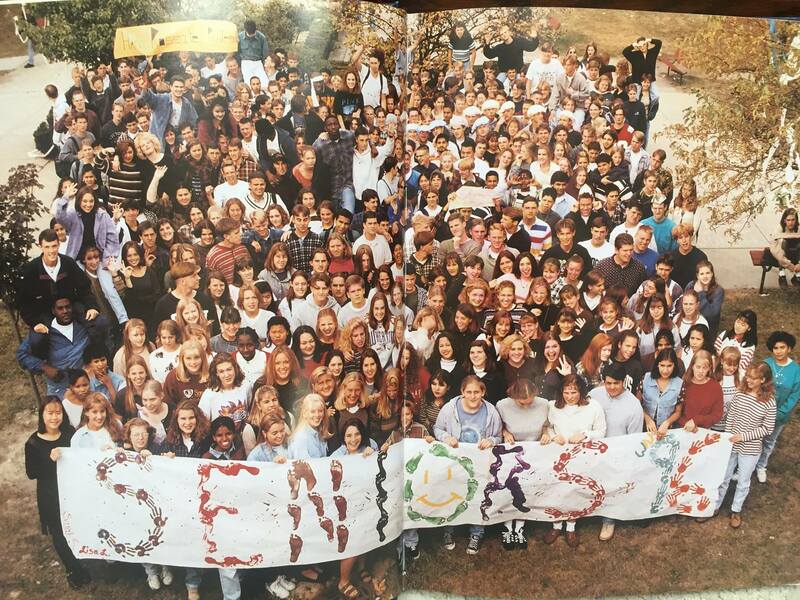 Twenty years ago, I graduated from high school. The anniversary date was just a few days ago. At that point, an answer to the notorious question was complicated. It was unknown; it was far away. Asked of graduates each and every year, I remember it being my time. My chance to hear it over and over again… especially after college entrance exams and senior year of high school came to a close. And at that point, I really didn’t know. I knew I didn’t want a desk job. I knew I didn’t want to go into the military. I knew I didn’t want to get into sales. I knew I didn’t really want to work in construction, automotives, medicine, or engineering. I knew more about what I didn’t want to do than what I did want to do. The question didn’t matter because I wasn’t ready for a moment of truth. Turns out I figured out what I did want to do. At least, I figured out what I wanted to do for the first part of adulthood. I went into teaching. And, in turn, I began coaching. I put a focus on people– young people, in particular– but I also dove head first into the fitness world. In the back of my mind, I guess I kind of knew that would happen. If I told the 18-year-old me what I am currently pursuing as my professions, I don’t think I’d be that surprised. I bet a part of me could have predicted at least some of the current state of my life. After all, we are the masters of our fate; the captains of our souls. And so, with the inevitable question that comes in handshakes and first conversations, I fight back a sarcastic response in exchange for an answer that is quite simple. I teach. And I coach. And, as I often now add, I also write. The answer is simple, but the question is complicated. It’s a good complicated, however. How do I make a difference? What do I do? I’m pretty sure twenty years ago, at the age of 18, I bought my first and only pack of cigarettes and got my ears pierced. Why? Dumb question. Because I could. The same reason I grew out my afro and dyed it a nice orangy-yellow. At this point, twenty years after my high school graduation, and twenty years after I realized smoking wasn’t for me but self-expression absolutely was/is, it’s still about asking myself the right questions. That is the complicated part of adulthood, isn’t it? The answer may be up there, up in that mush of a brain fogged by adult living– by taxes and technology and car loans and loud kids– if only the right question is posed and pondered. Even then, the fun part may lie in not having a perfect answer. It may lie in not having an answer at all. Right now, I feel an unsettling connection with the young me, the high school graduate. What do I want to do before I die? I don’t have all the answers, but maybe that’s because the question doesn’t matter. Rather, I know it matters, but I’m not yet ready for my moment of truth. If I were brave, perhaps I’d answer the question without thinking. Without a second thought, I’d blurt it out, loud and proud: “Before I die, I am going to _______________.” But I’m not that brave. Not yet. I’m working on it; and I think there, in the back of my mind, I know what I want to do– it won’t surprise me one bit if I were to look back on this little writing piece here and chuckle since I already kind of know what is going to happen. That’s the funny part about asking the complicated questions. Somewhere deep within, coming up with the questions was the tough part, but the answers were there, developing all along. Simple and accessible. They were just waiting until we, ourselves, were ready for our moment of truth. And at that point? At that point the future opens up and we live the life that in some ways we always knew we could. But the paradox will always ring true: the questions matter, even if they have no answer. We can find an odd guidance in that. The questions matter because they have no answer.